What is The Moment of Intent? Black Sands Entertainment Teases New Comic “Cosmic Girls” Coming Mid-May! Directed by Conrad Vernon and Greg Tiernan and written by Matt Lieberman The Addams Family is an animated film about the infamously ghoulish bunch as they face-off against a nefarious reality-TV host whilst preparing for a celebration with their extended family. I thoroughly enjoyed the Addam’s Family films of the nineties. Though I wonder sometimes if I would feel the same way about it now if I looked upon it with my new vampire eyes. Ah well, the memory of me enjoying them will always be there even if such times have passed. As for this…the jokes seem to be a little too on the nose and I can already see a few of the pop-culture references aging poorly, which is why if you want your work to stand the test of time you avoid making pop-culture references. Lastly, Chloë Grace Moretz makes for a horrible Wednesday Addams, she sounds bored and not in a good way, as opposed to Christina Ricci, who was a spectacular Wednesday. Sunday morning fair, if one doesn’t have anything better to do….like their laundry. 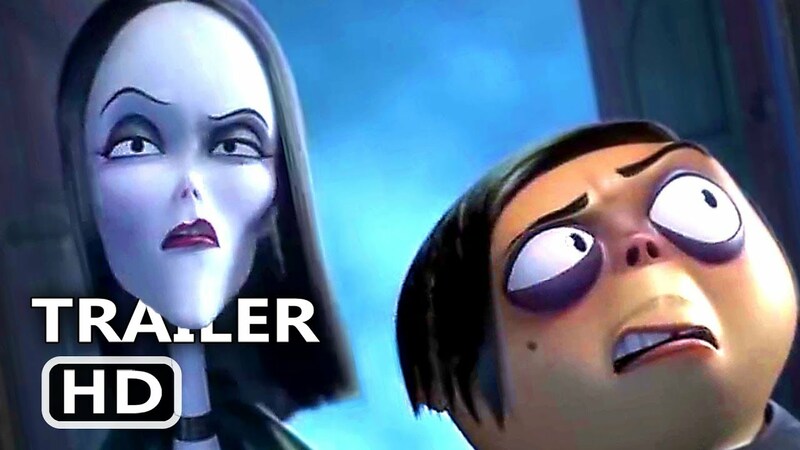 The Addams Family starring Oscar Isaac, Charlize Theron, Chloë Grace Moretz, Finn Wolfhard, Nick Kroll, Bette Midler and Allison Janney snaps their way into theaters October 11th, 2019.